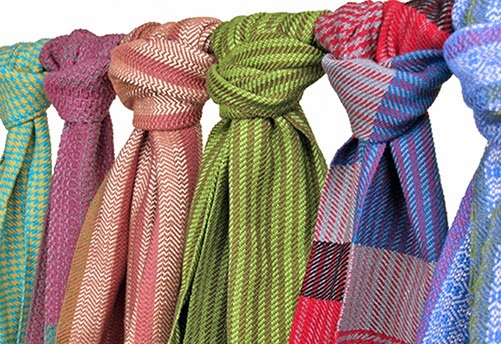 For years I've been working hard on my line of textiles. 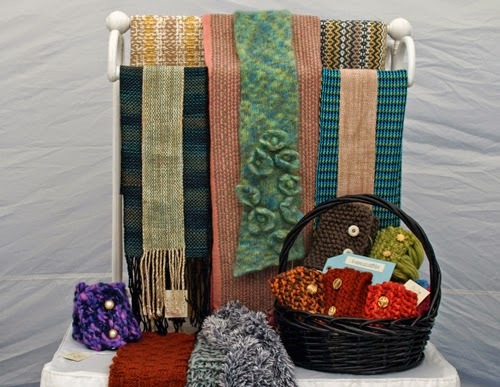 I began showing at craft fairs and selling my work at galleries and boutiques in 2010, but it wasn't until the fall of 2012 that I stopped making handbags, fiber jewelry, and knitwear and began to focus exclusively on handweaving. Since then I've been working on putting together a line with a cohesive aesthetic and I've finally gotten to the point where I'm confident with where my work is going. Booth display from way back in 2010! I've been trying to take my business full time. I am still doing some part time work, which I enjoy, and which I will probably always continue to do a bit of here and there. One of the major things that has concerned me on this journey is the business side of things. Everything I've been doing has been based on trial and error, instinct, and the advice of other craftspeople. While this is a great way to build a business, I just don't have any way of knowing whether I really am making the best decisions possible. A lot of emotion goes into making handcrafts and as a result, a lot of my business decisions are also based on emotion. In March, I participated in the Consumer Ideas Pitch Contest at the Merrimack Valley Sandbox, which opened my eyes to a lot of new opportunities. 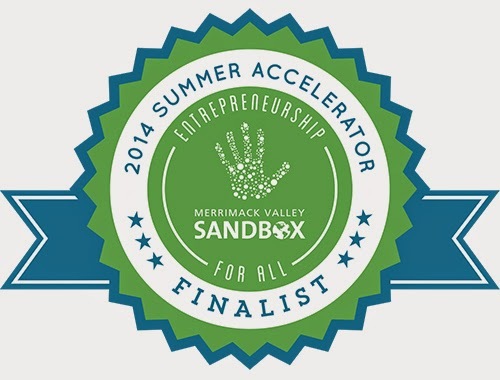 If you're interested in pitches, check out my BH blog post, My First Pitch Contest: Merrimack Valley Sandbox. The next logical step was to apply to the Summer Accelerator Program, also at the Sandbox, which helps early stage businesses through workshops and mentorships. The application, which was due on May 1, was fairly involved. Some of the questions I knew the answers to, like describing my business, my target audience, and what work I've done so far. Some of the others really made me think, like "What impact do you hope to accomplish with this idea?" After applying, I was chosen as a Semi-Finalist and interviewed for a space in the program. I found out late last week that I got in and am now a Sandbox Accelerator Finalist! I am excited to be spending the summer growing my business and learning new ideas and strategies. I'm not really sure where this program will take me or exactly how it will work - I'm a little nervous right now - but I can't wait to see where this will take my business. On June 9 and 10, the Merrimack Valley Sandbox is holding their 2014 Sandbox Summit, a two day conference for anyone who's interested in entrepreneurship. The week before my program kicks-off, this will really be the beginning for me. I hope you might be interested in coming along!